Every business owner knows that creating brand awareness is essential for a successful business. After all, if customers and clients don’t know who you are, you’re going to have a hard time earning new and repeat business. Branding is extremely important when it comes to business success. Think about Nike. Sure, most people know the Nike name, but most people also know that the simple swoosh mark also represents Nike. Because of this, Nike can use their logo – and only their logo – as a brand element. Ultimately, this is what you want to experience as a company. While Nike may have a marketing budget that is more than yours, it doesn’t mean that you can’t receive the same type of brand awareness as they did. 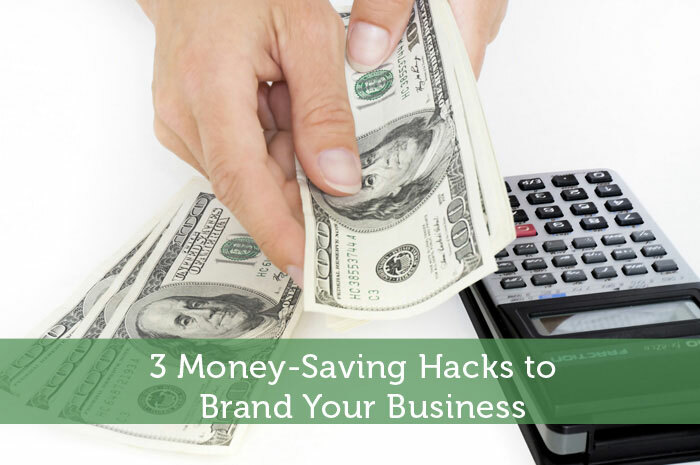 There are plenty of ways that you can brand your business without spending a fortune. Check out the three money-saving hacks to help you do just that. Printing is expensive, and most businesses know that trying to get envelopes, binders, or other business items with your company’s logo can be expensive. However, if you think outside the box, you can get the same type of branding for just pennies. According to NovaCustomLabelPrinting, “Businesses who are short on money but long on imagination should take a long hard look at the value of these inexpensive tools to bring more customers in.” Not only can you get sheets of company stickers printed for cheap, but you can use them anywhere as marketing collateral. For example, instead of spending a fortune on custom binders for sales pitches, buy generic binders and put your custom stickers on it. You can also use the stickers as a standalone marketing campaign. Use them at tradeshows, or simply hand them out to people on the street. People who wear them (or place them somewhere visible) will be marketing your brand for you. Eventually, the more people who see the sticker will come to recognize your company and your logo, thus generating an increase in brand awareness. IF you truly want a way to increase brand awareness for cheap, look no further than social media marketing. Whether Instagram, Facebook, or even Twitter, your company can easily generate a large following by creating an active social media account (or two). These sites are free to create, and you can easily generate information about your company to a wide online audience. Once your pages have been created, you can ask friends and family members to like it as a start, and then ask them to pass the information along to others. If you’re going to create social media accounts, though, it’s important that you know how to manage them. Simply creating an account, and then never posting or responding to customers, isn’t going to generate any brand awareness for your company. Instead, you need to work hard at establishing a following and giving the audience what they want. When you’re active, people will be more engaged with your business. Every business owner knows that branding a business takes time, but you can’t always afford to allow your employees to stop their daily responsibilities and work on branding. This is where interns come in. Most interns will work for free, allowing you to get full- or part-time work for no out-of-pocket expense. You can hire interns for a variety of different tasks. For example, you can use interns to pass out your stickers or manage your social media accounts. If you need marketing collateral created, hire a graphic design intern to create your logo or collateral. This will allow you to generate the right marketing collateral you need to increase brand awareness without spending a fortune on production and overhead. Social media are totally a big impact that can help your business. You should learn how to work on it, especially on Facebook and Instagram. Some great points here. I’d definitely agree with the social media tip – using it effectively can completely transform how people see your brand! Thanks for sharing. All three are great options, particularly social media. It definitely has the ability to provide a lot of bang for no bucks.